What’s the Deal with Private Health & Pilates… Can I Claim or Not? If you have Private Health Insurance you may have heard or even received notice that from the 1st of April 2019, Pilates (and other Natural Therapies) will no longer be rebatable on your Private Health. Maybe this made you freak out a little bit! Well, before you have any further freak outs, let us explain what classes at Pilates HQ you can and cannot claim on Your Private Health. Can I Claim My Group Rehab Physio Classes? The Australian Physio Association has lobbied on your behalf and the Australian Government and Private Health Funds agree “that physiotherapy is physiotherapy” and therefore fundable through Private Health Insurance. Our Group Rehab Classes, once known as “clinical Pilates”, will still be claimable on your Private Health; but there are a few things you need to know and conditions we need to comply with. Group Rehab Classes are Physio Exercise Classes (Not Pilates Classes), they consist of rehab exercises, some derived from Pilates and some performed on Pilates Equipment and all are evidence-based and tailored to the individual. To participate in these sessions you are required to have a 1 on 1 Assessment with a Physiotherapist as well as regular reassessments (at least once a year). We need to be able to show & document that you have clear goals and that you are working towards in each session. You can only claim these sessions on Private Health if you are attending them for a current health issue, not as a preventative measure or for fitness. Can I Claim My Group Rehab (EP) Classes? If you have Exercise Physiology cover under your private Health Insurance, then all of the same conditions apply as our Physio led classes. Can I Claim my Reformer Pilates Classes? Under the new changes made by the Government, any classes that consist solely of Pilates Exercises are no longer claimable, no matter what your instructor’s qualification is. So What Classes Should I Do? We believe that when choosing the type of class that is right for you, the choice should be based on your reason for wanting to come to Pilates HQ. Are you wanting to Rehab an injury or recover from a health condition under the guidance of a Physiotherapist or Exercise Physiologist? Are you wanting to experience the Pilates Method in all of its greatness? Do you want to use Pilates as a tool to work on your fitness, strength, mobility and confidence and control over your health and body? If you are injury free then you are best suited to our Reformer Pilates Classes. If you have some niggles, or would like more individualised attention then our Studio Pilates Classes are the way to go. 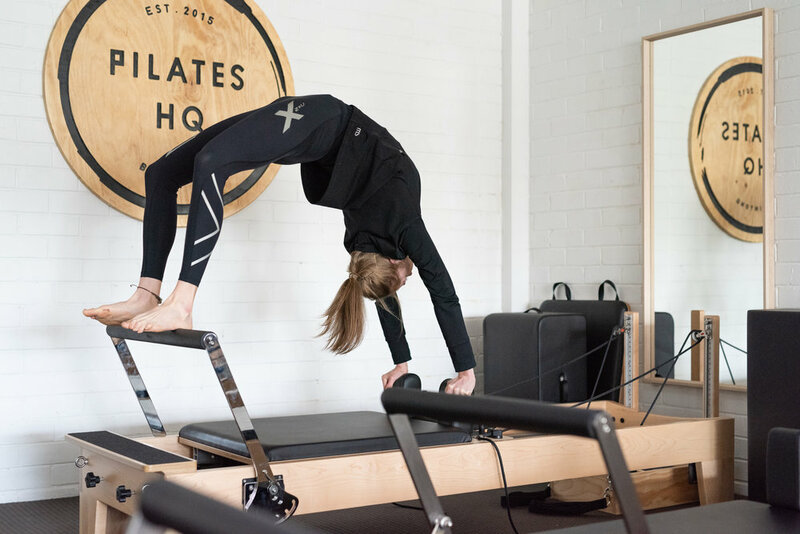 The key here is to look at the reasons why you want to attend or continue to attend classes at Pilates HQ, and use this as a way to help you decide what class you should take. Once you’ve decided, then see if you fit the criteria to claim on Private Health Insurance. 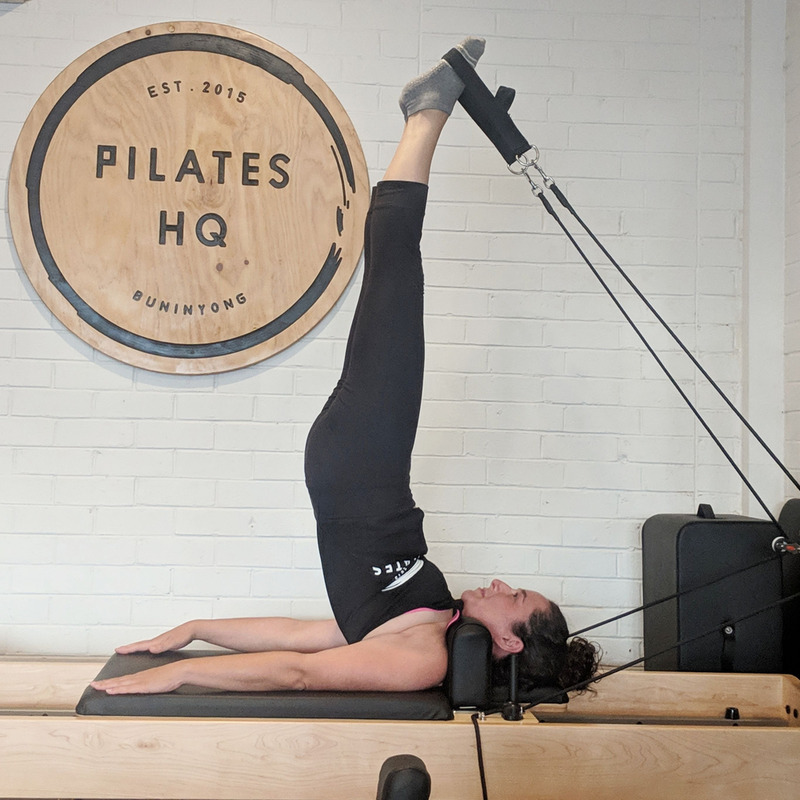 We wholeheartedly believe in the Pilates Method, and week after week we continue to see people improving their practice and their overall health as a result of this. And it is for this reason that we continue to spread the Pilates love. After all, not everything that is good for you is covered by your Private Health Insurance. And if you are reading this and thinking oh my gosh I just can’t afford to be doing Pilates Each week.. then you should definitely read our blog to find out why you can’t afford not to be doing Pilates. January’s HQer of the Month is the incredible Sheridan Barber! Sheridan had been doing Mat Pilates for a little while but after her sister took her along to a reformer class, she couldn’t keep away!. Sheridan started off with one reformer class a week and it wasn’t long before one became two and her Beginner classes turned into Intermediate Classes. Sheridan has now upped the ante to THREE classes a week (can I get a Woop, Woop!?) and she now has some serious strength and Pilates Prowess about her! Find out a little bit more about Sheridan and her HQ Journey below. What made you choose Pilates HQ? I saw Pilates HQ pop up when I did some research and it looked really welcoming, I thought I'd give it a try and I haven't looked back. What is it about Pilates or our classes that has kept you coming back? The atmosphere of the HQ studio is relaxing, fun and welcoming and it makes you want to come back to have a chat and a laugh with everybody. What do you like to do when you aren't working or doing Pilates? Outside of work & Pilates I enjoy spending time with my boyfriend, our miniature dachshund (Dex), and my family including my nephews and niece (and soon to be another, yay! ), as well as reading a good book that I can't put down. I have noticed improvements in so much of myself including my ability to focus and control my movements, my balance, arm and muscle strength and overall excitement and motivation towards exercise. People often say that it is hard to fit exercise in and to make time for themselves, what are you secrets to fitting in your classes especially around your busy life of working and studying? I too used to say this but I have found more and more that with my role and studying, for me and for everyone it is so important to have a work-life balance so I really try to live by this belief and allocate the time needed to maintain my self-care and health. What were your hesitations about starting Pilates or about coming to Pilates HQ? I had a few hesitations, I always thought you had to be flexible and coordinated to do it, but soon found out I definitely didn't, I allowed myself the time to focus on the exercises to improve each time. Were you feeling nervous or anxious about your first class and why? I was a bit nervous at first beginning in a new environment but once stepping into the studio I knew I didn't need to be at all. Have you made any friends in the classes you attend or do you like to fly under the radar and get in and out and do you own thing? I think I definitely fly under the radar but not intentionally, I think to some extent everyone does as we're all there to allocate that time for ourselves and to enjoy something that is purely for our own health. You mentioned that you found it hard to find something that you enjoyed doing in the past, what do you think it is about pilates that you enjoy most? It is a different session every time you attend, it is never predictable, as you progress it continues to be challenging. You can always have a laugh with everybody when you're all pushing through an exercise and all feeling the results. The atmosphere is fun, it isn't serious or competitive, it is supportive. I enjoy the jump boards! I did these in my first ever reformer class and they have just always stuck with me. I also enjoy the challenge of upper arm workouts. Another thing I love is that Pilates is an overall body workout so you never really know what's going to feel a bit sore the next day! Do you have any advice to give to someone who might be wanting to start Pilates? The Pilates HQ team are so welcoming and you'd be in very good hands with their continuous encouragement every time you're in. Sheridan you are freaking superstar and we have loved seeing you grow in confidence and strength each week. Thank you for choosing to spend your time with us at HQ, we are looking forward to seeing what 2019 has in store for you! When to persevere, when to speak up and when to stop! If you’re coming to our classes at Pilates HQ, it’s because you want to work your body – strengthen, lengthen and move those muscles and joints. And all physical activity comes with its share of aches and pains. There’s no denying that sometimes it can hurt! Most of us associate pain with being “bad”, or an indication that something is “wrong”, such as an injury. In actual fact, pain reflects a person’s assessment of how dangerous an input is, based on the context, belief or prior experience. In other words, we have mentally determined that something is going to hurt, so it does. If we were to stop at the first sign of discomfort, we’d probably never exercise at all. So, when it comes to your Pilates workout, what should you be feeling? When is it a healthy muscle burn and when is it something more? When should you speak up and when should you stop? You’ve heard the instructors talk about “the burn” – that feeling when your muscles are on fire. It usually sets in after several repetitions of a particular exercise. That pain (believe it or not) is good pain. It is a sign of lactic acid build up in the muscles, which means you’re working hard. Go you! The muscle burn will likely be felt in a large area, such as across your stomach, the front of your thighs, or the length of your calves. It will also have an aching feeling – that of a tired muscle. If this is the case, keep going – just a few more reps and you’re done (insert sigh of relief). The good thing about good pain is that it stops when you stop working on that muscle, or at least dissipates quite quickly. Once the pain is gone, you will be able to move around as normal. You had a great class, you pushed through the burn, walked out feeling great, and two days later you’re struggling to lift your arms, laugh comfortably or sit down on the toilet easily. Yep, we all know it. Its Delayed Onset Muscle Soreness (DOMS), and just like the muscle burn in class, it’s good pain. It will pass in a day or two. Just keep your body moving and stretch out the soreness. The most important thing to be aware of is new pain. If it is not muscle burn, and feels unusual to you and is concerning, alert your instructor. Often, a simple change in your position or a modification to the exercise will ensure you’re still working, and only feeling the good pain. Having discomfort during an exercise does not always mean that there is something injured or wrong. In cases where pain has been going on for quite some time (>3-6 months), it can be quite complex. In these cases, a little bit of pain during and after exercise is ok, as long is in the following days your ability to function and move about is unaffected. Tell your instructor at the start of your class if you have a pre-existing condition or injury that is causing you problems. Always speak up during class if an exercise or particular pain you’re feeling is causing you concern. Contact us at any time after your class if there is continuing pain, discomfort or concern. We can create and modify our exercises to suit any injury or issue, ensuring that you rest the problem area yet still work all the other muscles. Continued movement and exercise are great for injury prevention, recovery and making sure you stay healthy, both physically and mentally. If you have any concerns at all about your body and what you may or may not be able to do, give us a call. We can talk through your concerns over the phone, or arrange a consultation to work through the issue one on one before you join a class. We’re here to help get you moving and keep you active. How often do you tell Yourself "I've Got This"!? How often do you look up at something and make an executive decision that it is not possible, that it is too hard and you may as well quit before you start? We were setting ourselves up for failure before we even attempted to walk up the hill. That kind of attitude wasn’t going to get us to the top! So instead we had a team meeting and decided that we would give it a go. We would just put one foot/paw in front of the other, it was OK if we had to stop a few times to get our breath back & it was OK if we looked like we were dying as we walked up it. So that’s what we did, and now we add this hill into our walk each week. (Some weeks with a little more gusto than others). Did you set yourself a goal at the start of the year? Maybe you wanted to start Reformer Pilates or try a more challenging class level? 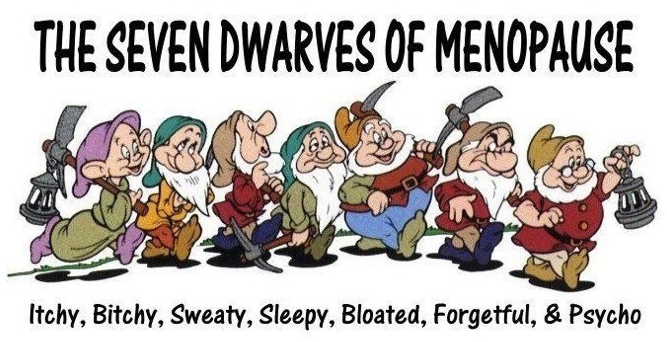 Or Maybe it was completely unrelated to Pilates 😜. And have you already decided that your goal is not possible, that it is too hard and that you won’t be able to do it? Well I am here to tell you that it’s NOT! You just need a little plan of action to get there! You are not expected to be a Guru in your first class or on your first attempt at something. Hell, who is?!
. Be ok with not being perfect! Feeling puffed or tired or just mentally drained from all the new things going on? That’s Ok! Take a little rest. You’re allowed to! This is our Jam! We know that it’s hard to learn something new, so we break our classes and our exercises down into steps. We teach you the basics then build on them when you’re ready & have found your groove! FINALLY! Remember that You’ve Got This! and we’ve got your back every step of the way! But if you are still feeling like you might need a little extra help to get started on your journey then we have the perfect thing for you. 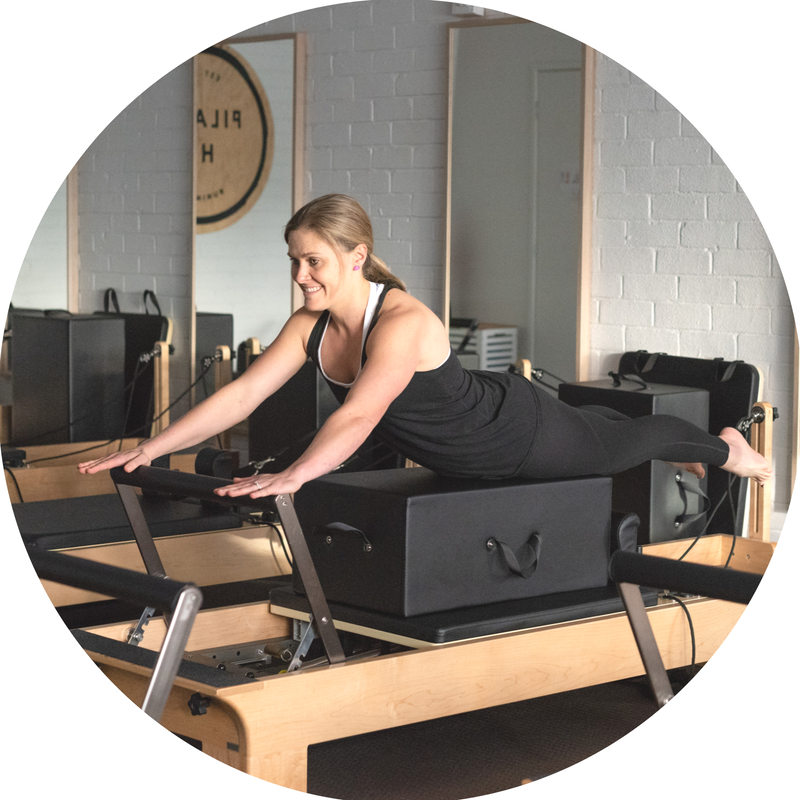 It’s our Intro to Reformer Pilates Course and you can find out more about it here. Mental health, Mental wellbeing, we hear these terms continually being tossed around these days. Whether it be on social media, in fitness centres or in one of many books preaching the mantra of “healthy body equals healthy mind”. But what exactly does all this mean? And why is it only in recent years that are we starting to finally shed a light on much more than the physical aspects of our health? The phrase mental health is defined by the World Health Organisation (WHO) as “a state of well-being in which every individual realises his or her own potential, can cope with the normal stresses of life, can work productively and fruitfully, and is able to make a contribution to her or his community.” Recent statistics from the Australian Bureau of Statistics (ABS), show that this concept of mental balance is not as prevalent as we many perceive, with mental health conditions such as depression, anxiety, stress, addiction, PTSD along with mood, eating and impulse disorders on the rise. Prevalence of Mental Health Issues? Statistics obtained from the National Survey of Health and Welfare found that almost half the Australian population, (45.5%), will experience some form of mental illness in their lifetime. The greatest prevalence appeared to be between the ages of 18-24 years of age. It was also found that over half the population diagnosed with a mental health concern fail to access treatment. Furthermore, the National Mental Health report of 2013 also published findings stating that the total number of people accessing services for mental health reasons was half of that compared to those accessing services for physical conditions. But why? For too many years mental health has been perceived as a taboo subject, the elephant in the room and unfortunately, as a result it simply got swept under the carpet. This has led to many continuing to suffer in silence, afraid to speak up from fear of being negatively labelled. But thankfully times have changed. As a society, we have finally put our big girl and guy pants on and said we’re ready to remove the elephant from the room. Talking about it is the first step, however we also know that what’s good for our physical health can also positively impact on our mental health. What is it you may ask? Exercise of course! Assisting with the release of “feel good” endorphins including serotonin and reducing the impact of stress hormones including cortisol. Providing a feeling many refer to as a natural exercise high! Assists with regulating sleep patterns. Can act as a deterrent or distract you from daily stressors or negative thoughts. Exercise such as pilates yoga and Tai Chi can also assist with increasing awareness of breathing and reducing muscle tension in the body. Greater volumes of oxygenated blood are pumped to the brain during exercise assisting with improving mental clarity, concentration, memory and reducing fatigue. Increased self-esteem and self-worth, it can also be a great social outlet and assist with meeting more like-minded individuals. Exercise: how much, how often and what’s best? The best exercise is what works best for you! When you are feeling stressed, down, lacking confidence or demotivated the last thing many people want to do is lace up their runners and do some exercise. HOT TIP: Start small and set goals, even blocks of 5-10mins a day can have a benefit! From there gradually build towards accumulating 30mins or greater a day. Remember consistency is the central to success! Keep the mind engaged and interested. A combination of aerobic exercise such as walking, swimming, running and cycling along with resistance training such bodyweight exercise, using weights/resistance tubing and pilates have been shown to assist with mental health. Exercise focused on mind-body connection, reducing muscular tension and breathing such as Yoga and Tai Chi are also beneficial for overall management. Exercising with others has been shown to assist with motivation, commitment and enjoyment. It also creates a sense of belonging and community. Did I mention it also makes it a lot more fun? So If you are looking for a way to keep your mental health on track, it might be time to schedule in a little bit of exercise into your weekly/daily routine. And if you haven’t already, why not jump online and book into one of our reformer classes? Your mind and your muscles might just thank you for it! This Month’s HQ-er of the Moment is the gorgeous Clare. 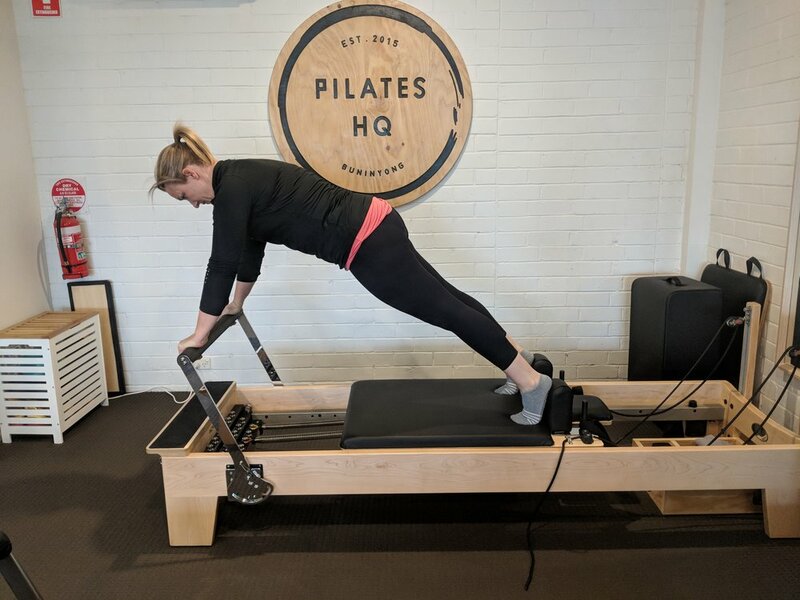 Clare started Reformer Pilates after an injury to her lower back. Like most people Clare had her reservations about coming to her first class. She was worried about how her back may feel and if it would be a waste of time and money, but, these fears were soon quashed, as she started to feel the benefits of her weekly class. Clare has now upped the anti to two classes a week and has even progressed into our intermediate classes. What enticed you to try a class at Pilates HQ? It’s close to where I live and I have always been curious about Pilates! Plus everyone looked happy coming out of the classes! Yes, I was worried how my back would feel, I was thinking maybe it wouldn’t help and it might be a waste of time! How do you feel when you finish a class? I feel great!! I can’t believe how I use every muscle in my body in all the classes , even ones I never knew existed! How have you enjoyed the challenge of moving into intermediate classes? What makes you excited either; creatively, mentally or physically about the Pilates method? This is really random but I don’t crick my neck anymore or twinge muscles. My body is more relaxed and definitely way more toned. Great muscle definition too!! Do you have any advice to give someone that is thinking about starting Pilates? It really is as good as everyone says. I wish I had started years ago and then I probably wouldn’t have hurt my back in the first place!!! I am constantly telling people to join up ! Your body really feels amazing! Thanks Clare for continuing to light up our studio with your smile, laugh and energy! Reformer Pilates: Medieval torture or fantastic workout? You’ve heard about it, seen pictures of it, your friends are talking about it but you still don’t really know what it is? Well we’re here to help. Trust us, it’s easy. Let’s start with the basics. Pilates, in all forms, is exercise that aims to strengthen, lengthen, balance and tone the body. Reformer Pilates does all this and the exercises are performed on a bed-like frame, called a reformer. See, easy! The reformer has a moving carriage, and springs to provide resistance. We use different combinations of these springs to make the exercises easier or harder for you. Our Reformer classes at HQ are structured by level of difficulty to accommodate the stage you are at in your Pilates journey. Beginner is for anyone who has not done reformer Pilates before or who hasn’t participated in exercise for quite some time. In a beginner class you will learn the basics. This will help you build a solid base for increasing your strength and flexibility. You will also learn the main exercises that we build all our classes around. You may not get a puff up or get hot sweaty in your first few classes. But our beginner classes are about learning a foundation, understanding how your body moves, and building mastery over your body and the key movements. Once you master these movements, the real fun begins and you are ready for our intermediate classes. In these classes we start to push you towards some fun, end-goal exercises. The end goal being what you will achieve in an advanced class (you know, those Insta worthy snap shot moves). The intermediate classes are designed to teach you all of the elements needed to achieve the high-level exercises, while steadily building your strength, mobility and confidence to get there. We begin to challenge your endurance, co-ordination and strength, and we gradually progress the exercises week to week as you improve. Here it’s all about reaching the top of the mountain. We challenge your full body. We up the tempo to make you sweat, maybe even puff. We flow from one exercise to the next, and we start to get you pushing towards handstands, back bends and bridges and so many other fun things. At HQ, it’s all about you. Everyone progresses at their own pace, so there is no exact time that you will spend in any one level of class. Our instructors will guide you and test your limits and when they feel that you have reached the key movements and strength needed they will suggest that you try the next class level. 2) pay extra attention to your technique and let you know the areas that you may need to work on to achieve the next level of class. At HQ we want you to feel comfortable, so we have a number of ways for you to get started. Click here to view the Starter Plus or Beginner packages, and if you need more information, just give us a call or email. We’d love to hear from you. This month’s HQ-eR of the moment is Kellie. Kel joined the HQ fam about three years ago after struggling to recover from a not-so-spectacular wakeboarding face plant and subsequent lower back injury. While she was skeptical about pilates at first, she was keen to try something new in the hopes it would give her some relief. It didn't take long for her to see and feel the benefits of pilates and all these years later, she is still rocking up every week, sometimes twice! 1. Were you feeling nervous or anxious about your first class and why? 2. What is your favourite Pilates exercise and why? Can’t believe I am saying this but probably planks-pikes with a push up thrown in. Maybe even a knee stretch or two! They really get my heart rate up and I always feel like I’ve had a good workout afterwards. 3. Which exercise is your least favourite and why? Bridges!!!!!!! I cramp every time! 4. What makes you excited either creatively, mentally or physically about the Pilates method? I love that Pilates can be done at so many levels. I started doing clinical classes with a focus on rehab, which quickly progressed to reformer classes for fitness, then back to clinical and so forth. Unlike many other exercises, I always feel like I won’t injure myself doing Pilates and can always modify exercises if I need to. It is gentle on the body but still a great workout. 5. What has kept you interested in Pilates and why do you keep coming back to class each week? Every class is different and you never quite know what the class will bring. Will it be tummy, arms, will I walk out the door with jelly legs, will I have a good laugh, will I achieve something new? One constant is that I always leave “just feeling good”. 6. What improvements have you noticed since coming along to Pilates Classes regularly? My lower back has improved dramatically. By strengthening my core it has improved my back and although I still have flare ups they aren’t as severe and don’t last as long as they did pre-Pilates. I can also swap to clinical classes during these times and focus more on rehab rather than fitness. I love the flexibility this provides. I also feel much stronger and am probably more flexible too. 7. Do you have any advice to give someone that is thinking about starting Pilates? Just give it a try, you’ve got nothing to lose. Don’t worry about your current fitness level, flexibility, age, weight, size or outfit because nobody else does. Pilates is for everyone and that’s what I love about it. It’s a really relaxed welcoming environment and the benefits for me have been great. The Australian high country is in high gear. If you are a snow goer, chances are your trip is booked, or you’ve already had a go and are looking to head back. The down side (or dare we say, the down slope) to skiing in Australia is that for most of us, we only make one or two trips in a whole year. We go out on Day One with a wealth of enthusiasm and stay on the snow all day, only to be crippled, cramped and downright uncomfortable for the rest of the trip. Not so fun after all right? Did you know that the physical demands of snow sports can be easily managed through Pilates? Core strength provides balance and stability – crucial for snow sports. For snow beginners, you’re out there with large objects strapped to your feet, and they don’t always go in the direction you want them to. A strong core helps to counteract the twists and turns of the slopes and improves your ability to spring back from a tumble. Advanced skiers and snowboarders also need good stability and balance on the fast slopes and off-piste areas to help avoid injury. A strong core helps to maintain the dynamic, balanced posture that is essential for snow sports. If you don’t engage your core properly, you will overwork the big muscles, such as glutes and quads, meaning the next few days on the snow will just be painful. A strong, stable core will also reduce pressure on the lower back as you twist, turn and manoeuvre your lower body. Flexible hips are essential. Skiers rely on the side-to-side hip movement to find the outside edge of the ski, while boarders tilt their hips forwards and backwards to use the edge of the board, as well as a rotational motion to change directions. Hip flexibility, combined with the strong core, gives you better edge control as you navigate the changing terrain and unpredictable snow conditions. Should you happen to catch a bad edge (and let’s face it, it’s going to happen), a high level of agility will help you roll out of a tumble unscathed. Skiers are highly susceptible to knee injuries. Pilates will help to focus on your strength throughout the full range of your movements. The exercises also focus on balance and control at your knee, hip and foot, which will have you sticking the landing of those 360s every time. You’ll also find yourself adapting better to changing snow conditions, challenging terrain and falling less. So if you’re headed to the snow and want to boost your slope style, book a couple of extra classes and prepare your body for the trip. New to HQ? No problem. Visit our website to view the Starter Plus and Beginner packages we offer. If you’re an HQ regular, you have your regular classes with your regular instructor that you like and trust. This is great! We want you to know us and to feel comfortable as soon as you walk in the door. But how many of us do you know? Two? Maybe three? Pilates HQ has a team of six instructors, each skilled and qualified, and each brings something unique to their class. Attending a class with someone different can be interesting and even challenging, which allows you to get more out of your class. Abby is a qualified Exercise Physiologist, making her highly knowledgeable in regards to the human body, injuries and rehabilitation, as well as overall fitness. So the next big question is, whose class will you try next? The easiest way to find out the “who” and “when” is to check out our timetable here. You can also email us with any questions. We hope you’ll be meeting more of us very soon.